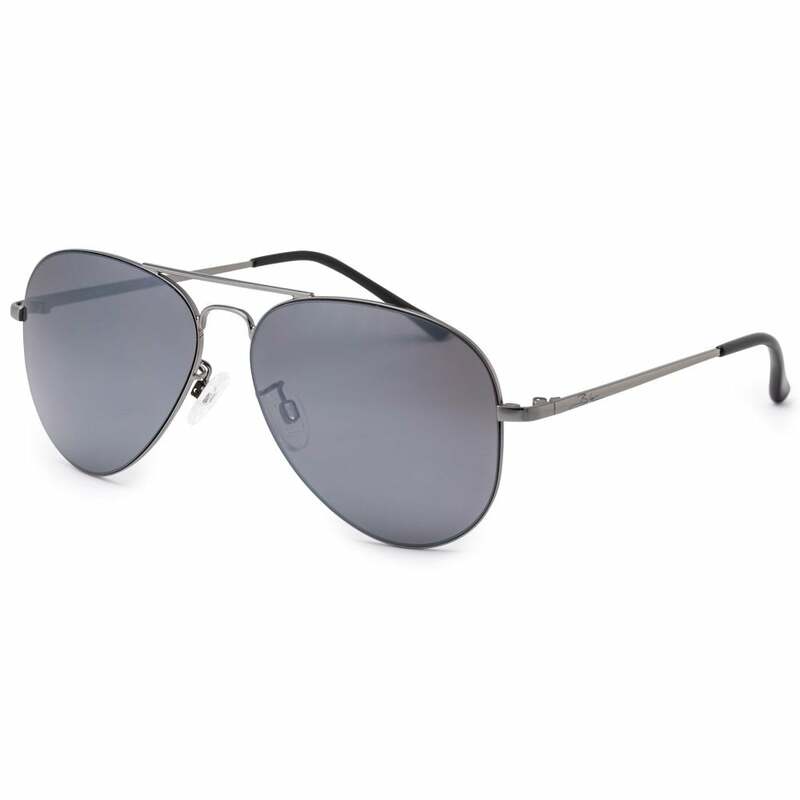 Silver frame with Grey Category 3 lens, the Darwin is a traditional aviator shape, anatomically designed metal frames are meticulously formed from a fusion of components ensure comfort and fit. Hypoallergenic anti-slip, adjustable nose pads and temple tips. Suitable for everyday wear thanks to their durable, lightweight design. The distortion free, impact resistant XTR Karbon8 optical class one lenses provide maximum UV protection protection Tested to BS EN ISO 12312-1:201. Anatomically designed metal frame, hypoallergenic anti slip adjustable nose pads and temple tips, durable lightweight design, XTR Karbon 8 optical class one Category 3 lens, Maximum UV.